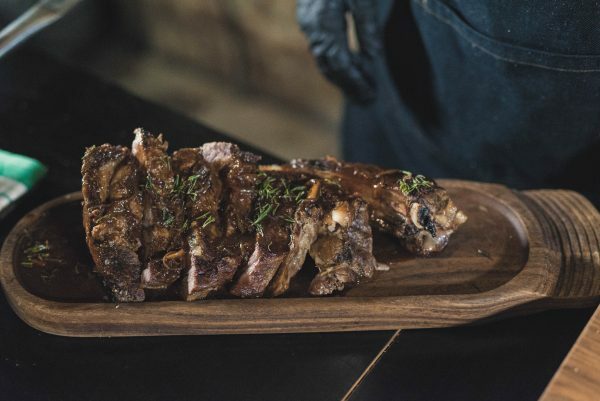 This recipe for Salt Baked Angus Tomahawk was developed by the head chef at Newstead Brewing Co, Taita Olsen. 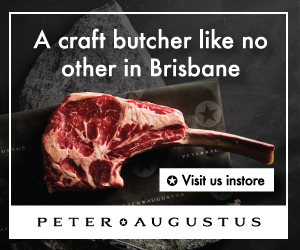 The video was made in collaboration with New Farm’s boutique butcher, Peter Augustus. Oil the tomahawk and season with cracked pepper. Seal each side on the grill. Remove the tomahawk from the grill and place on an oiled tray. 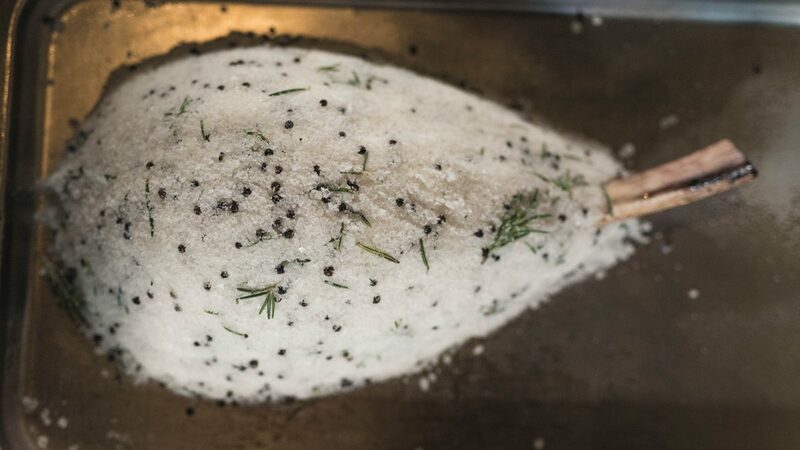 Mix together the rock salt, fine salt, rosemary and peppercorns. Add the three egg whites and mix until well combined. Check the salt is ready by building a mound in the bowl. If it holds its shape when patted together, it’s ready. 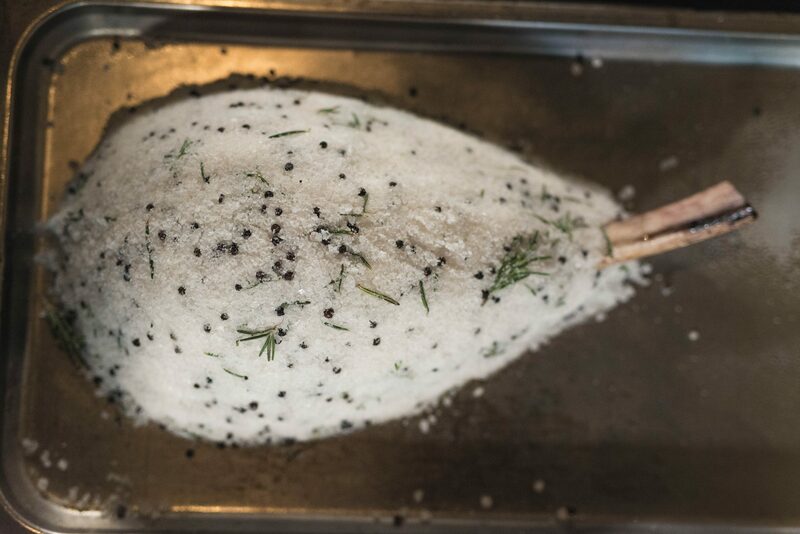 Build an anchor around the bone of the tomahawk with the salt mixture. Continue to mound the salt on the top and build the sides as the salt falls from the top. Once the tomahawk is fully covered, pat the salt together as compact as possible. Carefully place the tomahawk into a preheated oven of 180 °C. Cook for 30 minutes (or 20 minutes per kg). Remove the tomahawk from the oven and allow to rest for 15 minutes (or half the cooking time). Using the heel of a knife crack the salt crust. Remove the salt from the tomahawk and use a brush to remove the excess salt. Remove the bone first then carve the meat to desired width across the meat grain. Fine slice the red onion and smash the confit garlic. Saute in pot these two ingredients in a pot. Deglaze with Amber Ale, bring to a simmer and reduce by half. Pour the sauce over the tomahawk when it’s ready to serve.